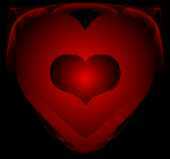 V-Day Tines Parts-Nancy Quale's Hearts - NO DIRECT LINKING- [php]. =At Any Time=YES! This means you! Some notes to myself so I remember what I did and how I did it. You are welcome to "Read Muh Mind"